Solution: Compound A can be converted into compound B by the reaction shown below. Considering the two 1H NMR spectra provided, draw the structures corresponding to compounds Aand B in the box. Compound A can be converted into compound B by the reaction shown below. 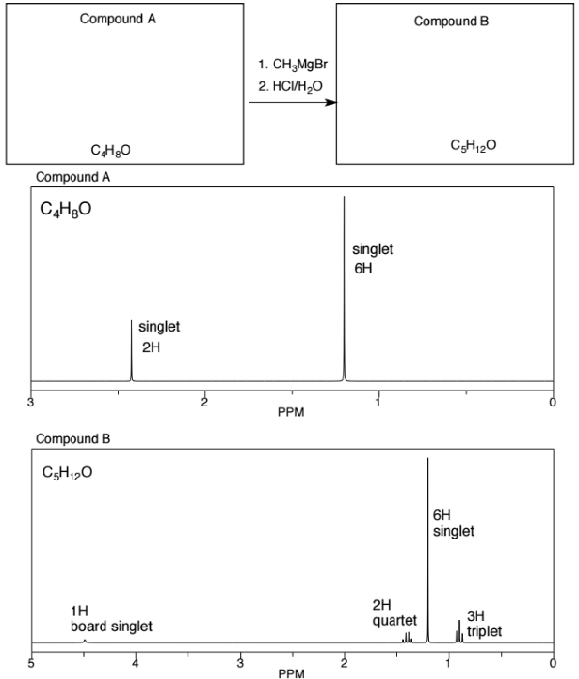 Considering the two 1H NMR spectra provided, draw the structures corresponding to compounds Aand B in the box.